If you keep yourself updated with stories from the tech world, you will know that solid state drives 101 Guide To Solid State Drives 101 Guide To Solid State Drives Solid State Drives (SSDs) have really taken the mid-range to high end computing world by storm. But what are they? Read More are the future when it comes to storage drives in personal computers – especially in the mobile computing arena. SSD allows PC manufacturers to build much faster and more energy-efficient machines. Ordinary users can also bump up the performance of their old machine(s) by replacing the HDD with SSD. But in its current state, SSD still has one major disadvantage compared to the traditional HDD – the price. Unless you have money to burn, you won’t get a large enough storage space to breathe. 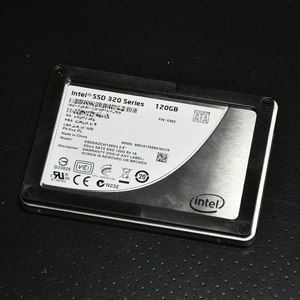 The most common SSD capacities that you can currently find in the market are around 64GB and 120GB, while most entry-level computers come with a 500GB HDD. Since we are so accustomed to throwing all of our digital files into the terabyte-sized HDD without ever thinking about deleting them, can we survive living with SSD’s minuscule capacity? The answer is, why not? Here are several tips that can help you survive living in the smaller storage world. The first thing you should do after making your move to the smaller SSD drive is do a clean installation. Resist the temptation to migrate your system and/or move all of your files from the old HDD. Rebuilding your system from zero will allow you to filter out unnecessary applications, documents, videos, and everything else that you saved “for later”. If you have files that you can’t delete, but you don’t need to bring them everywhere inside your laptop, store them in an external drive. The price of large capacity external HDD’s is already cheap enough that it would make a perfect companion to your SSD-powered computer. 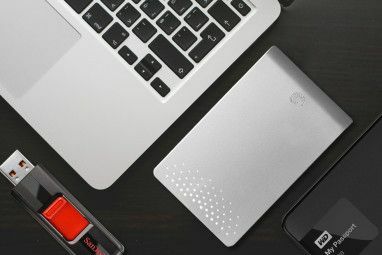 If there are several computers in your vicinity, it would be a good idea to invest in a Network Attached Storage (wired or wireless). Music, Photos, and Videos fall into the category of files that are not so essential but can’t be deleted. Sometimes, you just can’t move them out to an external drive. If you are an iTunes user, read this article The Easiest Way To Move Your iTunes Library To An External Drive The Easiest Way To Move Your iTunes Library To An External Drive Read More . 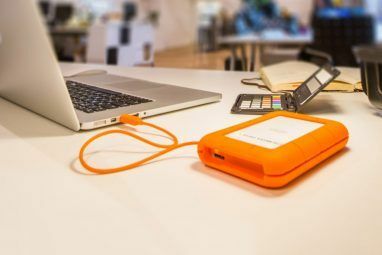 Mac users who want to move their iLife to an external drive, read this one How To Run iLife From An External Hard Disk [Mac only] How To Run iLife From An External Hard Disk [Mac only] Read More . We all know perfectly well how easy it is to fill your computer storage up. Now that you have limited space, you have to do spring cleaning more often – delete unnecessary files, completely uninstall unused applications, empty the trash regularly, and clear the browser’s cache. You know the drill. There are several applications that can help you do the spring cleaning, such as CCleaner Help CCleaner Remove All Your Excess Files With CCEnhancer Help CCleaner Remove All Your Excess Files With CCEnhancer Add 450 extra programs to the already extensive CCleaner. An unofficial program makes Piriform's famous system maintenance tool even more useful, by vastly increasing the amount of software it supports. CCEnhancer makes CCleaner even better... Read More and NCleaner Ncleaner - The App That Tells CCleaner To Take A Hike Ncleaner - The App That Tells CCleaner To Take A Hike Read More . 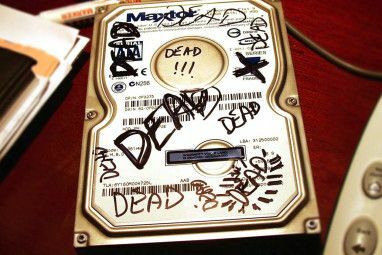 Everybody knows that backups are one of the most important actions on the computer. But with so little storage room to spare, it would be wise to turn off the automatic backup feature, and move to a cloud backup service instead. There are several web services that you can use to backup your important files, such as: Dropbox, Sugarsync, and Insync Sync Your Google Docs To Multiple Machines With Insync Sync Your Google Docs To Multiple Machines With Insync Read More . Those who have been using the Internet long enough will remember that POP3 used to be the chosen protocol for email systems. POP3 downloads all of your email from the server and keeps local copies on the hard drive. But if you use a small capacity SSD, having copies of your emails is the last thing you want to do. If you are using an email client to manage your emails, turn off the options to keep local copies. Otherwise, your storage space will be full in no time with all kinds of attachments. Or better yet, ditch the email client(s) altogether and move to webmail instead. Among many webmail services, the most well-known names are GMail and Yahoo! Mail. I used to hate streaming multimedia content, especially if the content was long videos. That’s why I didn’t really like YouTube. Consuming stream content under a poor Internet connection is far from enjoyable. Users have to wait several minutes for several seconds of video. More often than not, the videos are restarted to the beginning and there’s nothing users can do. But if you value storage space more, streaming multimedia content is a better option than downloading it to the computer’s drive. You can also choose the middle path – download the content so you can enjoy them comfortably, but always remember to delete them afterward. If you choose this path, there are several tools that can help you acquire multimedia content from the Internet. Read the articles here – 4 Quick Ways To Download YouTube Videos Off The Net 4 Quick Ways To Download YouTube Videos Off The Net 4 Quick Ways To Download YouTube Videos Off The Net Don't have a stable connection? You can still enjoy your favorite YouTube videos in high quality and at any times. All you have to do is choose one of the tools below, choose your format... Read More and 3 Free Ways To Download YouTube Movies To Your iPhone (& Other Mobile Phones) 3 Free Ways To Download YouTube Movies To Your iPhone (& Other Mobile Phones) 3 Free Ways To Download YouTube Movies To Your iPhone (& Other Mobile Phones) Read More . As the world slowly moves to the cloud, it would be a great idea to try to get yourself a better Internet connection. Even though you can survive with any decent Internet connection, having a good one will help you keep your SSD emptier by moving your documents to the cloud with the help of web services like Google Docs. The list above is based on my experience of using a laptop with limited storage plus some quick web searches. I’m sure that there are things that I missed. So if you have any more tips or tricks to optimize SSD usage, please share them using the comments below. Explore more about: Hard Drive, Solid State Drive. I added a 120GB SSD to my HPdv7 laptop and moved the 500GB hard drive to the second drive location. So now I have both and I use the 500GB drive (2 partitions of approx. 250GB each) to back up the SSD. I've only got about 25GB left on the SSD so I'm about to move my old pictures to the hard drive to free up space.